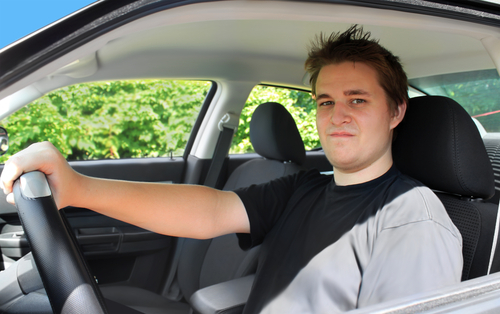 Sooner or later, most teens will get behind the wheel of a vehicle. In some cases, parents often face the option of lending their vehicle to their kids regularly or making the investment in an additional car. In other cases, the young drivers may choose to purchase their first vehicle to take advantage of the freedom that comes with having a license to drive. Either way, the big factor that’s going to have to satisfy both parties about the vehicle is safety. Fortunately, Honda is once again a leader in this category. The Insurance Institute for Highway Safety (IIHS) recently released it’s first-ever list of safer used vehicles for teen drivers. According to the IIHS, motor vehicle crashes are the leading cause of death among teenagers and asserts that the vehicles teens are driving have a big impact on the degree of risk they face on the road. Often, in an effort to reduce the cost of a vehicle for a teen driver, buyers opt for older vehicles that don’t include many of the modern safety technologies available in more recent cars, putting new drivers at greater risk. The IIHS doesn’t believe that compromising safety for affordability is a good idea and neither does Honda. As a result, a number of model years of Honda pre-owned vehicles have been recognized among the safest choices for teenaged drivers. For pre-owned vehicles under $20,000(USD) the IIHS recognizes the Accord Sedan (2012 or later) Accord Coupe (2013-2014), CR-V (2012 and later), Element (2007 and later) and Odyssey (2011 and later) as the best, safer choices for teens. Anyone who wouldn’t consider spending over $10,000 on a vehicle for a teen driver will also be able to find options with Honda. The 2006 or later Pilot and 2005-2010 Odyssey were also included on the list of good choices that fall under $10,000 (USD). The criteria used to determine the “best choices” in the under $20,000 category looked at ratings in side crash protection, head restraints and seats for rear crash protection and roof strength in rollover crashes. All vehicles in this category have “good” ratings in these tests. In the under $10,000 category, the vehicles have good or acceptable side crash protection and head restraints that rated better than poor. All listed vehicles provide good protection in moderate overlap head-on collisions thanks to their Advanced Compatibillity Engineering™ body structure. In addition to the crash protection ratings, the Honda vehicles on the list also come with standard Vehicle Stability Assist with traction control that further adds to the safety of drivers and helps reduce fatal single-vehicle crash risk by half and fatal multiple-vehicle crash risk by one-fifth, according to the Insitute. Safety and quality of their vehicles are top priorities for Honda and make the manufacturer’s new and used vehicles an ideal choice for drivers of all ages. Henley Honda offers a wide-range of Certified Pre-Owned Hondas including some of the cars found on the list. To learn more about how you and your teenage children can be safe on the road in a Honda, contact our pre-owned team today!